Hearings are part of process required to allow group to start collecting signatures for vote on whether to change Utah election law. 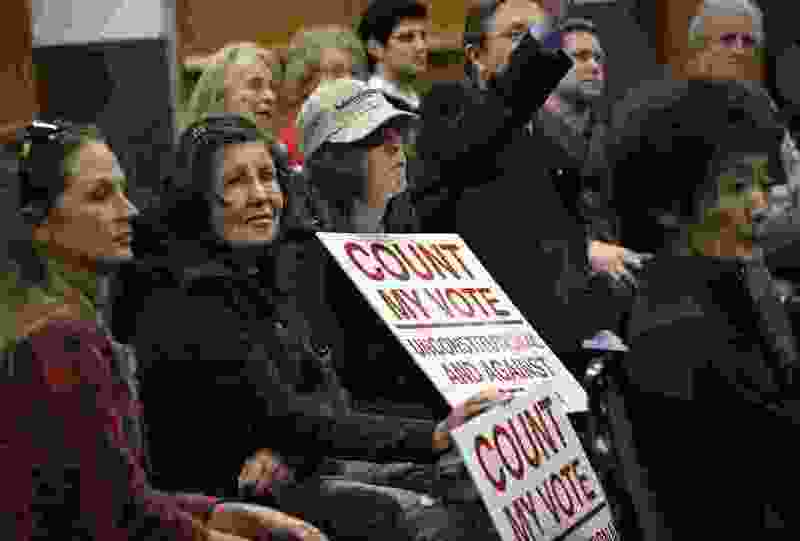 Cottonwood Heights • A small crowd of 30 people turned out here Friday at a public hearing to cheer or jeer what could be a huge change in Utah election law: allowing voters to pick party nominees solely through a direct primary election. The Count My Vote ballot initiative would dump the traditional caucus-convention system as a path to the ballot, contending it allows a few party delegates — who often tend to be far right or left extremists — too much power to choose nominees. The initiative’s supporters were hosting seven hearings statewide Friday and Saturday as required by law before they may begin collecting the 113,000 signatures needed to qualify for next year’s ballot. 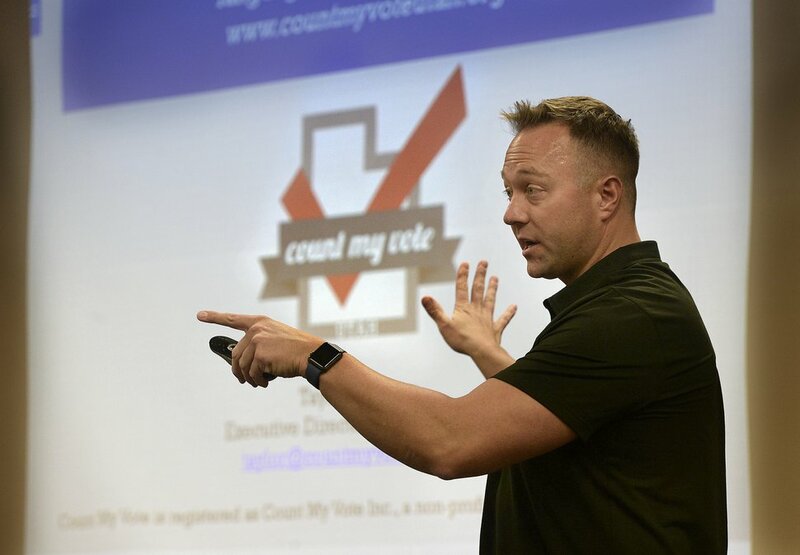 Count My Vote Executive Director Taylor Morgan noted his group had gathered 105,000 signatures in 2013 to allow voters to dump the caucus-convention system. But it withdrew its petitions to allow compromise legislation, SB54, in which candidates may qualify for a primary either by collecting signatures or through the caucus-convention system. “We withdrew our initiative last time in good faith that the Legislature would uphold the deal going forward,” he said. “But it’s been nonstop threats legally, politically and legislatively ever since” seeking to return to the old system in which anyone who won 60 percent of convention delegate votes became the nominee. Morgan argued the caucus-convention system often does not represent the will of most voters, noting Provo Mayor John Curtis this year finished fifth at convention for a special election in the 3rd Congressional District, far behind Chris Herrod. But Curtis easily won the primary among all GOP voters, after he had qualified for it by collecting signatures. In another example, he noted that most GOP delegates voted for conservative Jonathan Johnson for governor last year. But incumbent Gov. Gary Herbert easily beat him in the primary among all party voters and won a landslide in the general election. “There’s a lot of people who think their vote doesn’t count” under the current system, so they don’t vote, Kearns resident Vance Rollins said. He blamed that low voter turnout on the caucus-convention system that may produce nominees that most voters do not prefer. (Scott Sommerdorf | The Salt Lake Tribune) Vance Rollins spoke at the Count My Vote public hearing at the Whitmore Library in Cottonwood Heights, Friday, Oct. 27, 2017. The Count My Vote ballot initiative seeks to select party nominees through a direct primary, in addition to the traditional caucus-convention system. “It time to change something,” he said in support of the initiative. 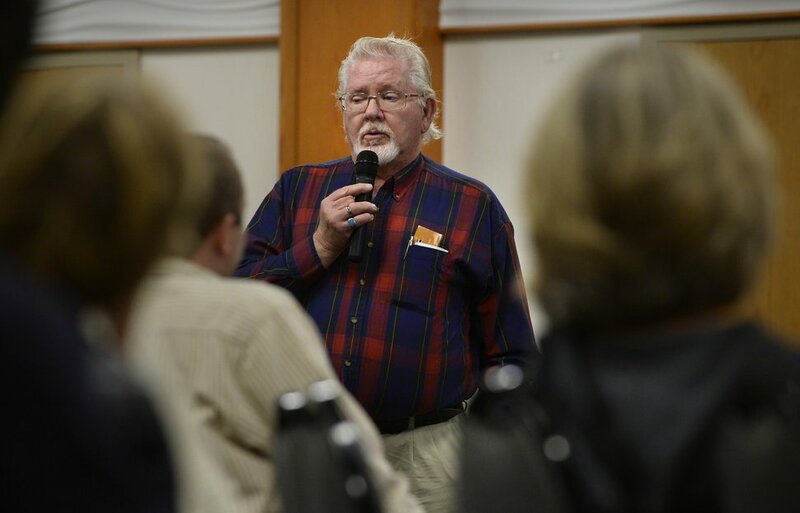 West Jordan resident Mike Skidmore lamented that the late U.S. Sen. Bob Bennett, R-Utah, was dumped at convention by tea party supporters despite high approval ratings. Skidmore said he was working at night the year when caucuses chose the delegates that defeated Bennett, so he could not attend them and had no voice. He said excluding people who work at night, or parents who cannot bring children to such meetings, silences too many Utah voters. 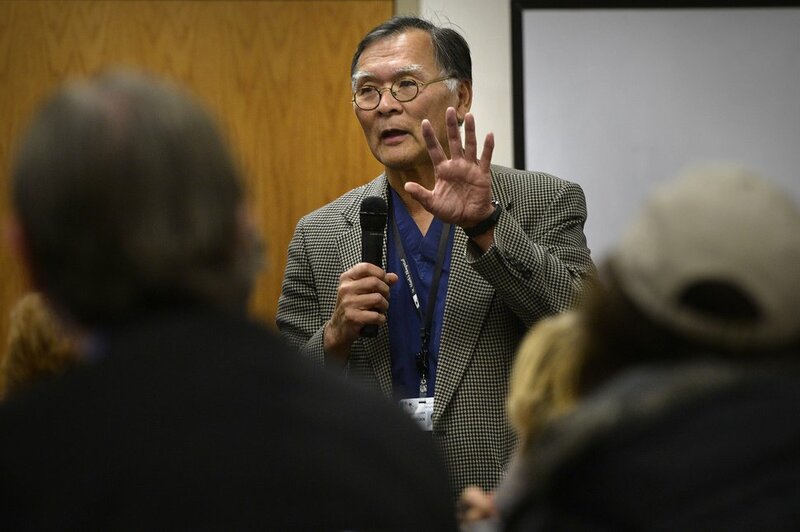 (Scott Sommerdorf | The Salt Lake Tribune) Utah Sen. Brian Shiozawa, R-Salt Lake, spoke at the Count My Vote public hearing at the Whitmore Library in Cottonwood Heights, Friday, Oct. 27, 2017. The Count My Vote ballot initiative seeks to select party nominees through a direct primary, in addition to the traditional caucus-convention system. Among those who opposed the initiative was former state Rep. Fred Cox, R-West Valley City. He said that campaigning in a primary is expensive, so it favors the wealthy. He said the caucus-convention system allows the less affluent to compete because they need to contact only a few delegates. Morgan said the initiative would require gathering signatures from 1 percent of a party’s registered voters living in the district where a race occurs. For statewide races such as governor or U.S. Senate, that would require 6,515 signatures for Republicans and 1,595 for Democrats. SB54 now requires 28,000 signatures for candidates of either party. The group has scheduled three hearings Saturday: at 10 a.m., Uintah County Library, 204 East 100 North, Vernal; at 3 p.m., Jennifer Leavitt Student Center, Utah State University Eastern, 451 E. 400 North, Price; and at 8 p.m, Sharwan Smith Student Center, Southern Utah University, 351 W. University Blvd., Cedar City. Morgan said his group hopes to begin collecting signatures late next week.